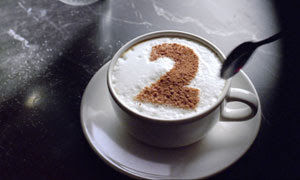 I’ve posted about BBC ident revamps before and now (a little belatedly) I’ll mention the BBC2 revamp. Another ?700,000 of licence payers money has paid for 14 new idents, all featuring the number 2 in various settings. Filmed in locations like South Africa these latest idents (very short, channel related film clips between programmes) supposedly convey that the channel has become a window on the world. There’s a new logo too, in deep aqua and a more comtemporary font. I like this cappucciono image pictured here. Read what the BBC press office has to say on the matter. I thought the idents used in the 1990’s were quite good.